How Much:$12 advance, $15 day of show. 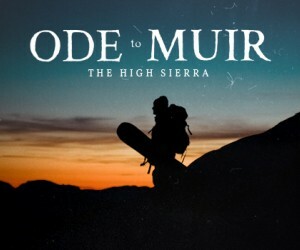 Join us and our partners at Sierra Nevada Brewery for a one-night only premiere of our new film with Jeremy Jones and Elena Hight, Ode to Muir. Following the movie, there will be a Q&A with Jeremy Jones, Sierra Nevada founder Ken Grossman, and John Muir Trail Foundation's Marla Stark.